St Peter's has become a local recycling centre for some difficult to recycle every day plastic items. There are boxes in the church where things can be left. The church is usually open on weekdays from 9.30-15.00. Below is a list of the items that can be recycled, it is important that items are dry and as clean or empty as possible. 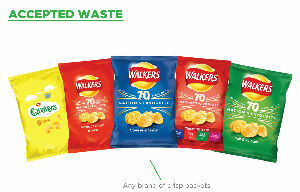 Any brand of crisp packet but not nuts, pretzels or popcorn, please keep them as flat as possible not scrunched up. 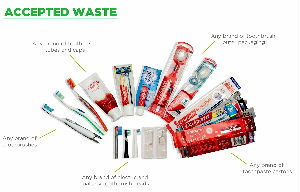 Any brand of empty toothpaste tube, plastic toothbrushes and electric toothbrush heads. 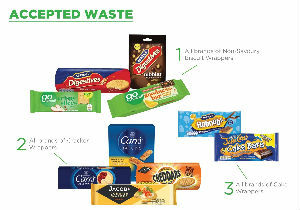 The outer wrapping from both sweet and savoury biscuits. 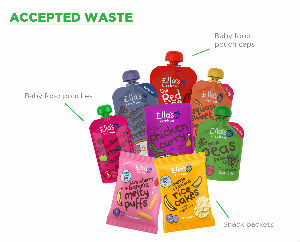 Baby food pouches as empty as possible with their lids on and any Ella's Kitchen baby snack packets.